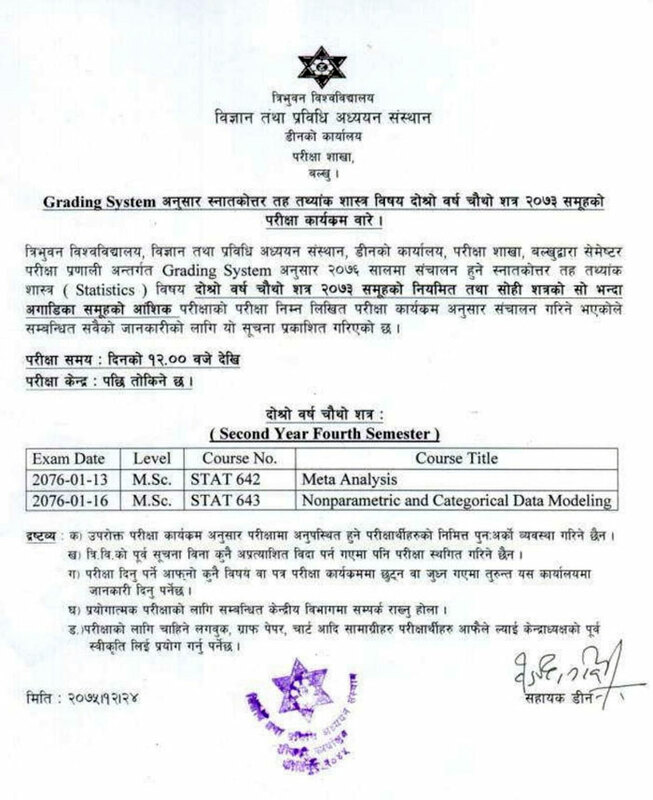 Tribhuvan University Institute of Science and Technology (TU IOST), Dean Office, Exam Department, Balkhu has published a notice regarding the exam routine for M.Sc. Statistics (Second Year, Fourth Semester). The Exam Time: 12:00 pm in the afternoon. Exam starts from Baisakh 13, 2076 (April 26, 2019).